Alfred Barye was a fine sculptor who was often overshadowed by his more famous father Antoine Louis Barye. Alfred did many fine Animalier bronzes during his career. This Retriever Dog is one of Alfred's better sculptures as he really captures the alert expression of the dog. 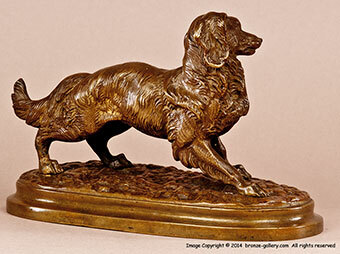 The Hunting Dog bronze is well cast and finished in a warm medium brown patina with good detail and texture to his fur. It is hard to tell exactly what breed he is, he could be a Setter but he looks most like a Golden Retriever. 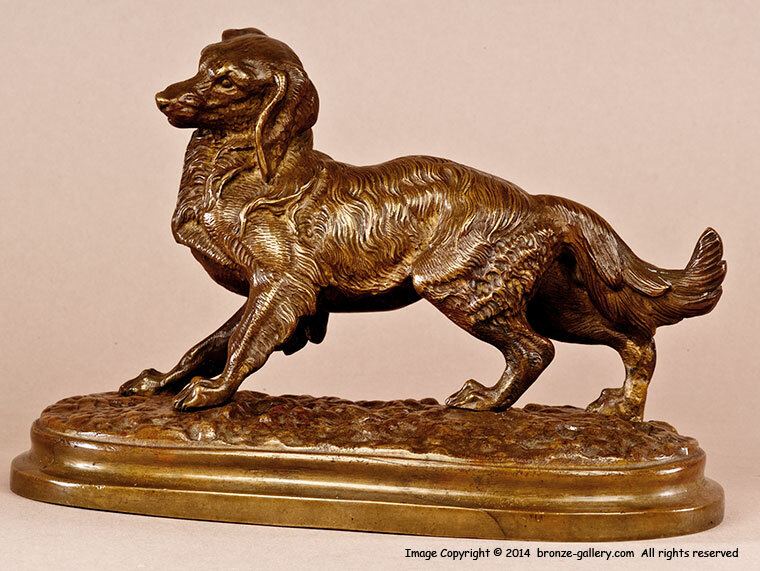 A fine 19th century bronze of a rare model.